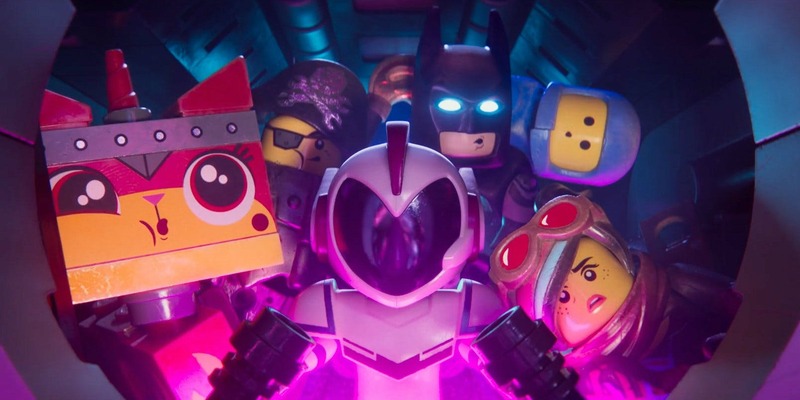 Aaron Neuwirth reviews The Lego Movie 2: The Second Part, a smart sequel that figures out how to take ideas of the first film further. Five years after 2014’s hugely successful Lego Movie, we now have the first actual sequel, The Lego Movie 2: The Second Part. 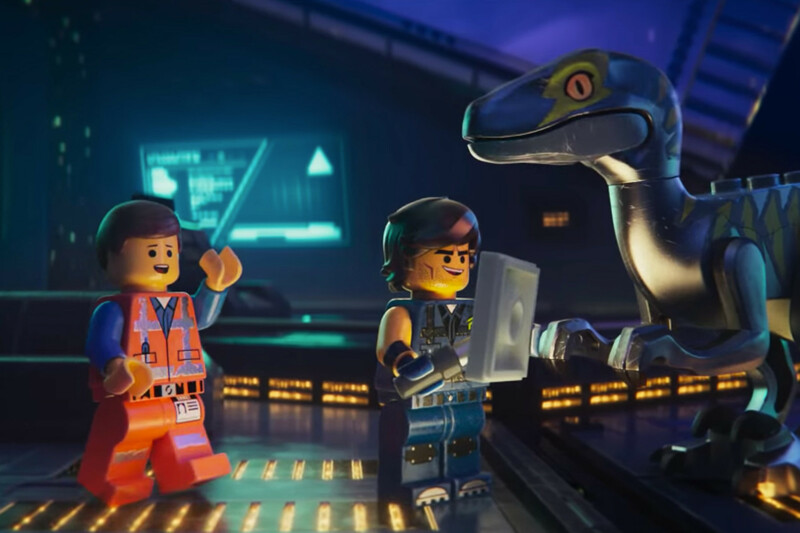 It may not feel like it’s been that long, given the double Lego Movie releases in 2017, focusing on Batman and Ninjago, in addition to the rise in profile of Chris Pratt, who also had Guardians of the Galaxy open in 2014. 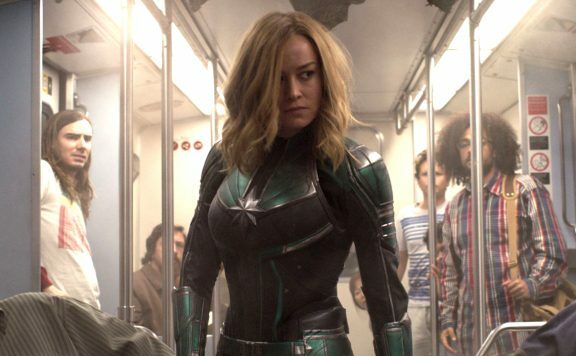 Even the brand of humor by Phil Lord and Christopher Miller has stayed in the public consciousness (Solo: A Star Wars Story aside), with Spider-Verse serving as the most recent piece of anarchic animated amazement from them. Frankly, one could see this inevitable sequel as merely a way to sell more Legos, and yet Lord & Miller, and director Mike Mitchell had more up their sleeves for this Second Part. The film also picks up five years later, which was a fine way for the film to focus its plot around developments that take place in the Lego worlds as well as reality. 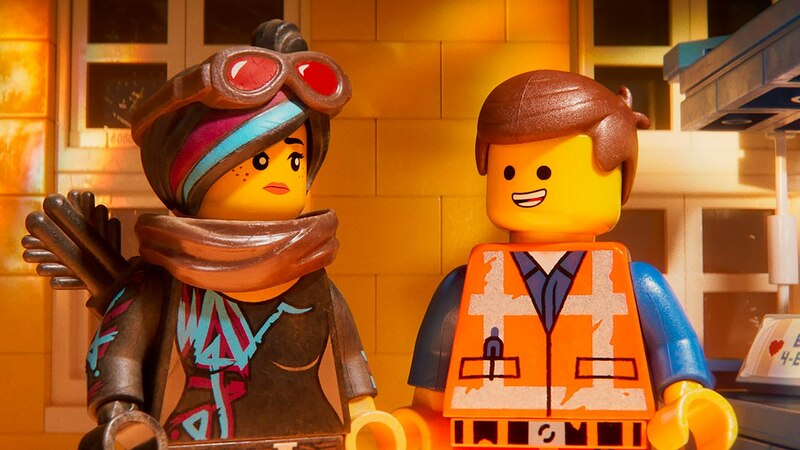 With the first film providing the surprise realization that the story takes place in the mind of a child, The Lego Movie 2 attempts to use that to its advantage. 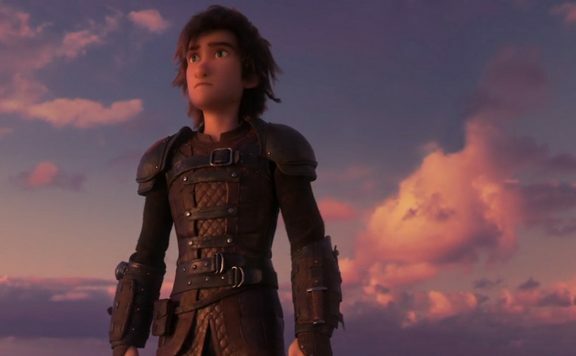 The struggles between the real world’s Finn (Jadon Sand) and his sister Bianca (The Florida Project’s Brooklynn Prince) are reflected in the Lego world, as Emmet (Pratt), Lucy (Elizabeth Banks), and their friends now live in a post-apocalyptic wasteland. The cause has a lot to do with Finn’s newer interests, in addition to Bianca taking many of the Legos to add to her style of play. As a result, Emmet’s friends are all taken (by Aliens, in terms of the Lego world), and he has to work to get them back. Much like the first film, which surprised me with its smart level of thematic depths, The Lego Movie 2 exists to do more than provide as many jokes as it can, based around the number of toys it was able to pile together for the sake of seeing franchises interact. The original film was able to work as a critique against conformity (creating a satirical Oscar-nominated song in the process). 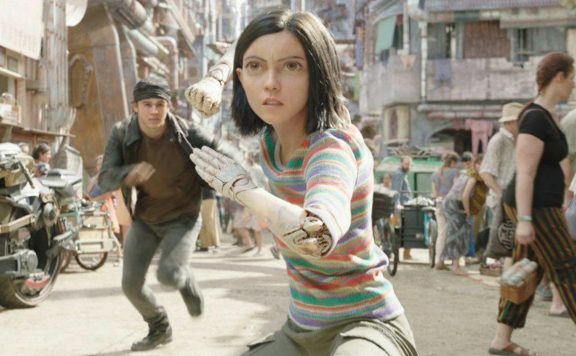 This sequel is tackling what it means to have toys specifically being tailored to gendered sides, the type of machismo that can have a negative effect on imagination, and simply understanding how to get along by lightening up. That sounds like a lot to unpack, but hey, these are some big bags of Legos for the filmmakers to work with. Well, not entirely. As with the previous Lego Movie films, the CG animation is handled in an ingenious manner where all the photorealistic pieces exist and are assembled in ways that are plausible, to keep the movie from “cheating.” Of course, with a few years having passed and technology improving, the work done to create a film like this continues to impress. Uniting a variety of different Lego styles allows for a fun variety of images. It also allows for plunging our main characters into new worlds, with other characters that help shape the story and ideas for the better. 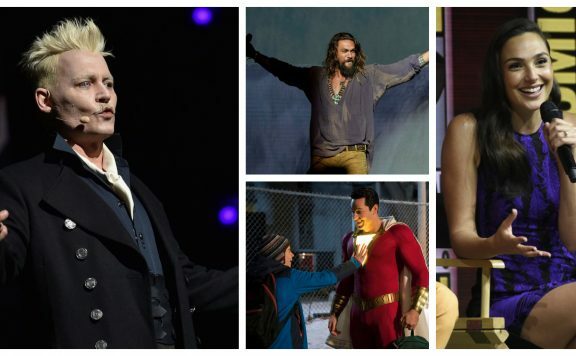 Once kidnapped, Lucy, Batman (Will Arnet), Benny (Charlie Day), Unikitty (Alison Brie), and MetalBeard (Nick Offerman) find themselves in the Systar System, where they mainly interact with General Sweet Mayhem (Stephanie Beatriz) and Queen Watevra Wa-Nabi (Tiffany Haddish). Not only do these other worlds mean incorporating Duplo blocks and Lego Friends, it also means seeing many of the characters introduced in the first film now taking on the personalities fit for the imagination of a young girl, better adding to the tricky nature of this story. That’s something I admire in these Lego Movies. Yes, they are also colorful joke machines that make me chuckle a lot, but balancing a story that deals with a brother and sister feud, allowing their personalities to affect the nature of the Lego worlds they created means we can see the Lego characters transform and even grow as actual characters. It’s also why the vocal talent is a big help for these films. Chris Pratt, for all his ventures into different cinematic arenas, following his rise to superstardom, may find Emmet Brickowski serving as his most iconic and enduring role. The always upbeat goof can land so much humor, as well as deal with a good amount of inner turmoil that helps these films accomplish more than just mindless entertainment. Not hurting at all is the secondary role Pratt takes on, Rex Dangervest, a hybrid of Pratt’s various movie roles. It’s a perfect in-joke that nevertheless finds a way to pay off the main themes of the film. The rest of the cast finds their place as well. Side roles for Unikitty, MetalBeard, etc. are pushed a bit into the background, making room for more, but Banks continues to find layers in the minifig formerly known as Wyldstyle. Given that he had a whole other movie (which is very much referenced here), Batman is not merely as significant a presence, but it matters little, given how Haddish’s Queen Alien has plans directly involving him, and the film is happy to neg Batman as much as it can in general. All the other expected aspects are here. Jokes come flying out of every which way they can. 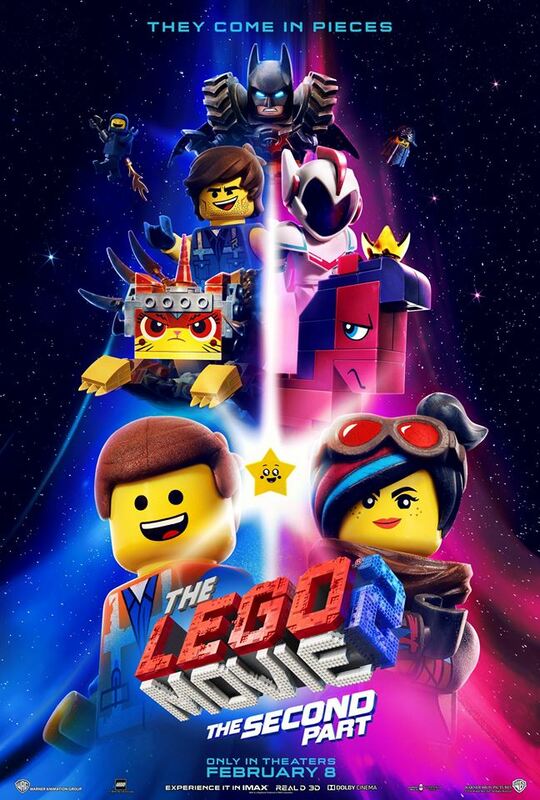 “Catchy Song” is seeking to become the new “Everything is Awesome.” In fact, this film has a few songs, pushing it all the closer to being a full-on musical (note to producers: The Lego Musical Movie), and I should say that staying for the end credits has never been more satisfying in that regard. Plus, all the fun of having Justice League characters, Lincoln, Gandalf, and other surprises, interact in Lego form continues to be a blast. If there’s an issue, it comes down to what we already know. Given how the real-world element was a clever reveal the first time, there’s less room to surprise in that way. It doesn’t make the jokes feel less fresh, but one can get the feeling of this being another Lego Movie, compared to being the first. And there also isn’t a sort of cathartic moment as exhilarating as something like Benny getting to make a Spaceship or the epic destruction of Cloud Cuckoo Land. Basically, the first film did so well at deconstructing a genre (similar to something like the first Austin Powers) that there’s only so much to accomplish the second time around. Still, The Lego Movie 2 doesn’t take the easy path to success. It’s clever and very funny. Some strong messaging is embedded within the irreverence, and there’s a level of visual wonderment that I have yet to grow tired of when it comes to big-budget studio movies about Lego Construction Toys. That’s plenty for me to be entertained by, just as I’m sure an audience made up of kids and adults will be as well.